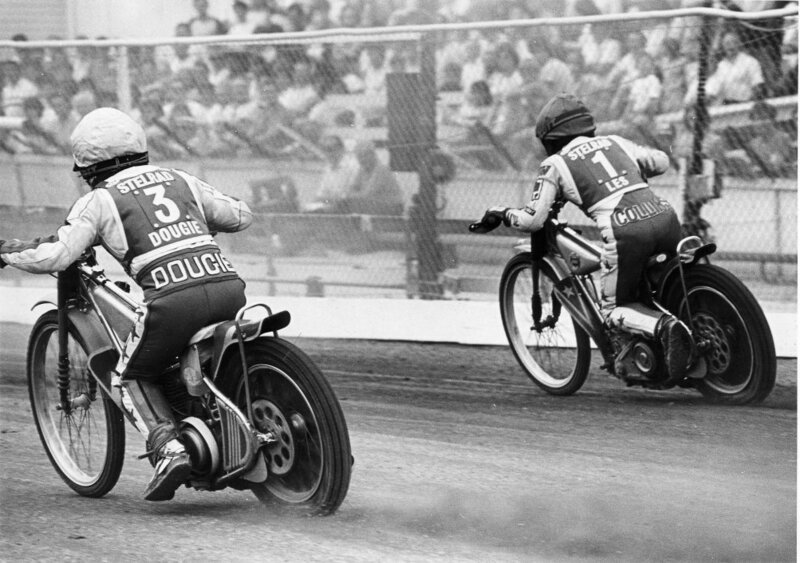 After two seasons at the foot of the National League, our 1986 Monarchs contained two of the most experienced riders in the sport - ex-World no. 2 Les Collins and former World Finalist Doug Wyer. They proved to be far more than just old guys looking for a final payday - Les of course gave us 10 years and is our highest ever points scorer, while Doug raced into his third season with us before being halted by injury. They were great characters who left a lasting mark on the club. On 13th July 1986 they gave us our first national silverware for five years by winning the National League Pairs at Hackney, beating the home side in the final (and Stoke in the semi). Above is a shot of our pair during the event.